And I wondered exactly why this person, who I know has had many exciting, meaningful, diverse, and powerful experiences in her life, would think this was the coolest thing she’d ever done? I know it was historical. I realize it was powerful. I understand that it was probably very emotional and personally significant to her in a way that I probably cannot understand because I’m not a woman. But I’m betting there was also another reason. . .
I’m guessing one of the reasons last Saturday’s march was the coolest thing she’d ever done is because she had chosen to act intentionally, to act with purpose, to act in accordance with inner values and core philosophies that were in keeping with the authenticity of who she was. 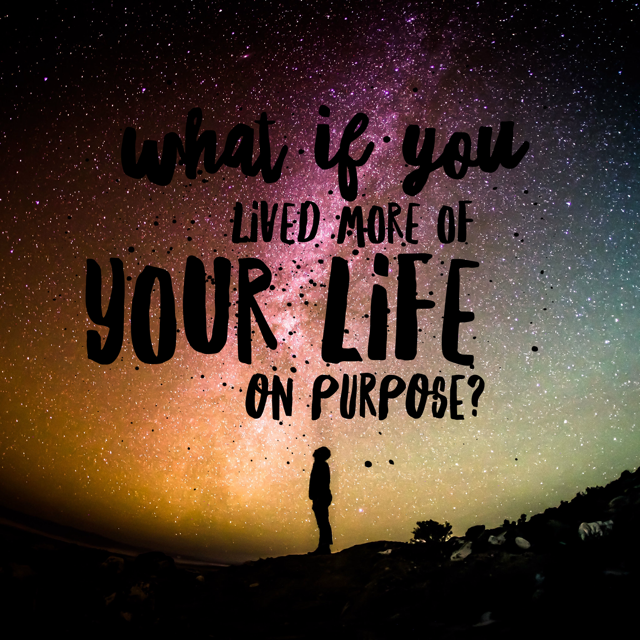 Acting intentionally and with purpose increases the meaning, significance, and power of our lives because we know there is a reason we are making the choices we’re making. There is a cause we are supporting or an endgame we’re after. It’s something teachers do all the time. And yet often, not enough. Or at least, not in the right way. When we act with intention, we are focused. We are tuned in. Our actions and behavior are not random or serendipitous, but rather are “about” something. How can I act intentionally with my health? How can I act intentionally with my teaching practice? How can I act intentionally with my spouse or my children? How can I behave in a way that clarifies my focus and how can I make choices that are based on my intuition, core values, and belief systems? How can I decide to do something right now that will take me where I want to go and either improve my life, the lives of my family or students, or even the lives of those around me? Don’t let life simply happen. Choose a reason for doing what you’re doing. Decide what your intention is for the significant things that you do and the important moments in your day, then act on them.